As the principal designer at Whiteley & Whiteley Design Group, Inc. He is a graduate of the U.S. Merchant Marine Academy, with a B.S. in Marine Engineering, and holds a U.S. Coast Guard Chief Engineers License. Following a successful career in the marine industry, David returned to school to study his passion - home design. He graduated from Sam Houston State University with a B.S. in Design and Development, and opened Whiteley & Whiteley with his wife, Diane. 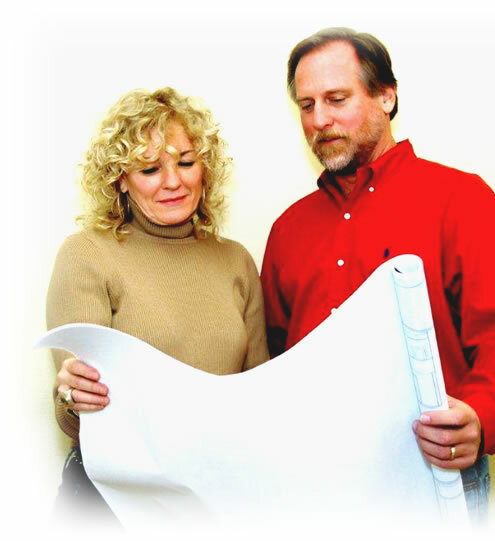 David is designated a Professional Building Designer by the American Institute of Building Design (AIBD), and is certified by The National Council of Building Designer Certification (NCBDC). He is a member of both the Greater Houston Builders Association (GHBA) and the Custom Builders Council (CBC). He combines his design expertise with his knowledge of construction to create homes that are both structurally sound and aesthetically pleasing. Graduating with honors from Sam Houston State University, with a B.S. in Psychology and a minor in Art. She began her art career when she was 10 years old and is an award-winning artist with work in galleries around the Houston area. Her work hangs in offices and homes throughout the U.S. and Mexico. Diane uses her art background to work with the client in selection of materials from floor tile to roof, then, during the construction phase, she works with the sub-contractors to ensure the finished product represents the client's vision. David and Diane have been married since 1973 and have an adult daughter, Ryan. They have been residents of Walden on Lake Conroe (Montgomery, Texas) since 1977 and still live in the first home that David helped design.